The post Let’s Go Thrill Seeking! appeared first on Lets Go With The Children. Next month, Londoners will congregate to celebrate their one true love: cheese. Throughout May, the Academy of Cheese will be hosting a number of events across London; from cheese and wine tastings, to cheese and charcuterie masterclasses. This annual celebration of cheese shines a spotlight on the people and places that are driving the British Cheese renaissance. Here you’ll try six regional cheeses from Brindisa’s range, including Torta de Barros and Payoyo, each paired with brilliant Spanish wines. The event will take place at WSET School in Bermondsey from 6:30 to 8:30pm. Join the waiting list here. Join experts Dhruv Baker of Tempus Foods and London Cheese Month’s co-founder and cheese guru, Patrick McGuigan as you learn how to make the perfect platter. You’ll leave knowing how to nail those cheese and charcuterie combos. Get your tickets here. Become a cheese pro with the Academy of Cheese’s Level One Associate course. You’ll gain accreditation from Britain’s leading cheesemonger and learn a ‘Structured Approach to Tasting’ with 25 different cheeses. Get your tickets here. To find out more about London Cheese Month, head to their website. The post May Is London Cheese Month, Which Is Important appeared first on Secret London. The ICC Men’s Cricket World Cup trophy will be on display in Broadmead on Saturday 4 May. The ICC Cricket World Cup Trophy Tour, driven by Nissan, is currently on a 100-day tour of England and Wales ahead of this summer’s tournament. It visited Bristol in March and is returning on 4 May for a ‘Super Saturday’ event when shoppers will once again have the chance to see the trophy up close and personal. It will be the final ‘Super Saturday’ of the #CWCTrophyTour and it promises to be a great event with cricket, music, dancing, and much more. There will be an opportunity to get your photo taken with the Cricket World Cup trophy, as well as the chance to take part in cricket activities with some famous faces at the event. The tournament begins on Thursday 30 May when England take on South Africa at The Oval and the West Indies play Pakistan at Trent Bridge. The final will take place at Lord’s, London on Sunday 14 July. Ahead of the main tournament, Bristol County Ground will also host some warm-ups. These take place on 24, 26 & 28 May – click HERE for further information. The post ICC Cricket World Cup Super Saturday appeared first on Bristol Shopping Quarter. The post Bristol’s week in jazz April 22 – 28 appeared first on Bristol 24/7. It began with a question. A question on tube etiquette. The Victoria line has rather large ‘bum rests’ at each end of the carriage. I was resting my bum (well, my back, because I am quite short) against one on my commute home this evening. A lady got on the carriage and proceeded to rest herself right next to me, uncomfortably so. Now, am I being weird about sharing my bum rest, and this is a standard thing which I hadn’t realised? Or was the bum rest mine, and she was being unnecessarily pushy? Is the bum rest a two person space? 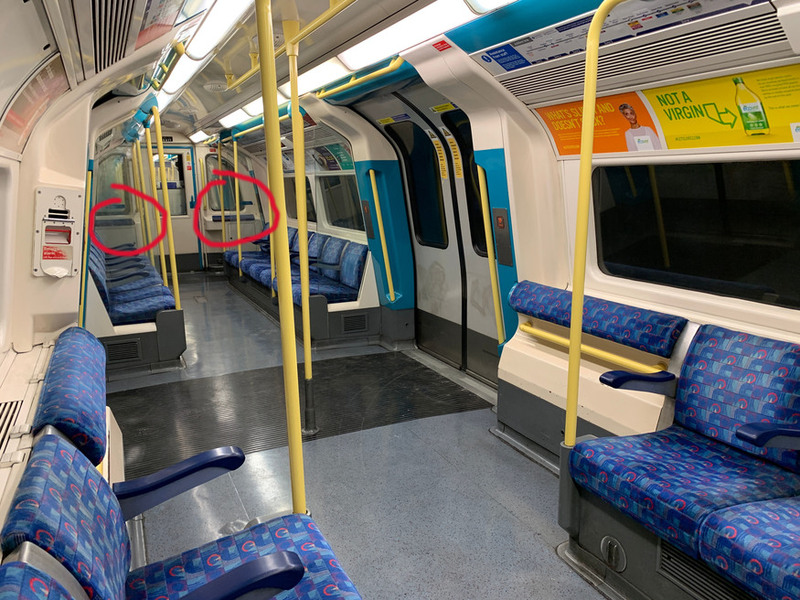 Indeed, most tube stock has these ‘bum rests’ (of varying dimensions) at either end of the carriage. But was Gemma right to assume that her posterior had squatting rights on the entirety of one bum rest? “What a cheek!” Exclaims one response, another suggesting: “Depends how busy your train was”. Good point. Turns out that Gemma’s carriage had plenty of standing (if not sitting) room. So surely that bum rest was hers, all hers? That’s the view of some. “The bum rest is only for one however small the bum… cheeky madam indeed,” says Deborah, instantly siding with Gemma. “How rude! Bum rests are for one bum only!” chips in Meryl. However, the controversy flares up, with numerous people then suggesting that Gemma WAS being selfish. “It’s a two person space so you had to yield,” informs James. “Of course you can’t have the whole bum rest — that’s selfish,” remarks a disgusted Margeaux. “Multiple occupancy space.” says Ian, bluntly. Thank you all. I shall work on my own attitude towards the situation, and not use the rest until I am ready. Or just use the ones on the Central line, which are clearly one bum wide. Except is Gemma yielding prematurely? Because maybe other factors come into play. “I suppose two very thin people could share one, but I have always thought of them as only really being big enough for one,” observes Christopher. Care to weigh in? 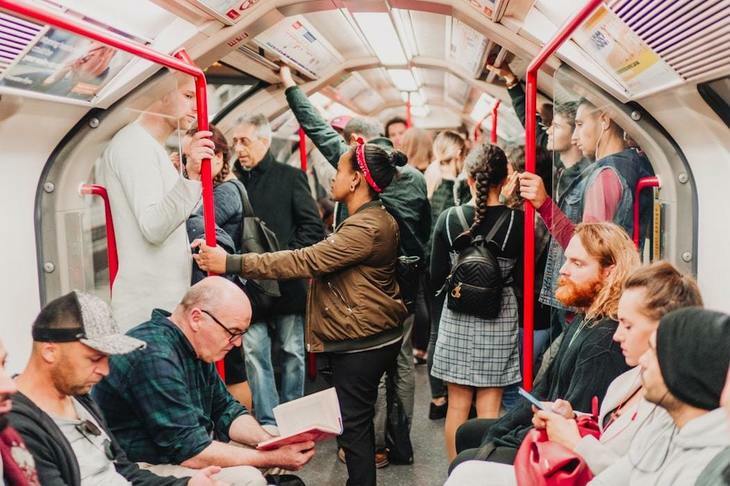 For transport chat — bum rests or otherwise — join our Facebook group, Londonist Roundel Ramblings.